As the summer continues the customer requests are increasing for the switchable glass product. Below are pictures of an project near the beach, in a clients bathroom. 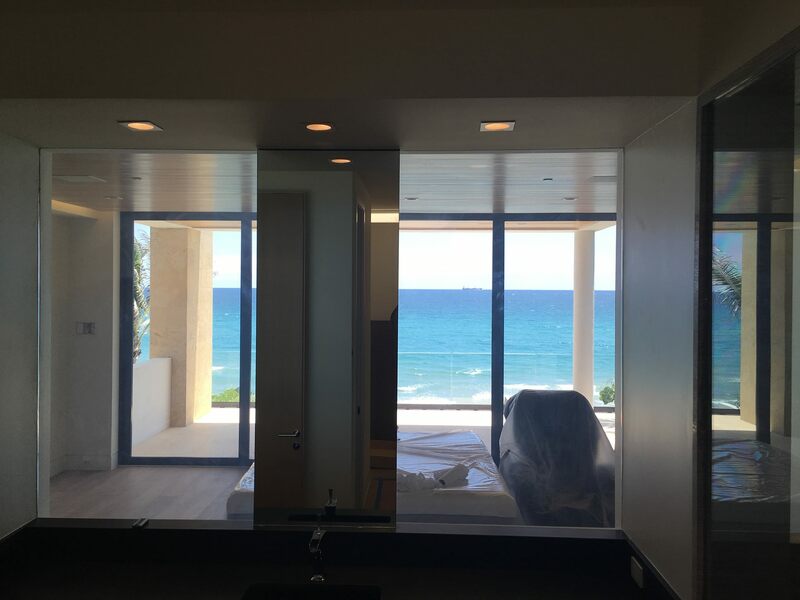 The pictures show the switchable glass in the on and off positions looking out at the beach. 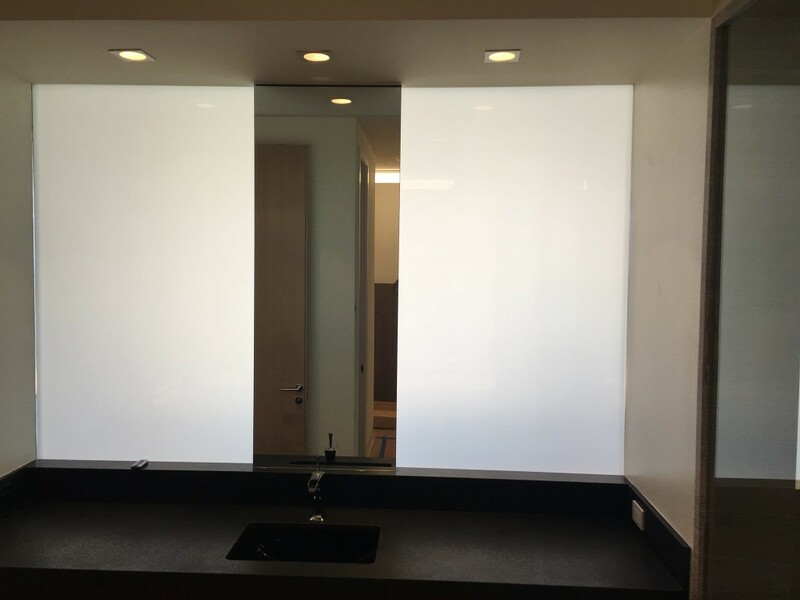 The switchable glass is a perfect way to take advantage of the openness of glass, while still having the ability to be private as you please. Having the ability to let nature into your home as you please, while having the privacy switch is a great advantage of this product.